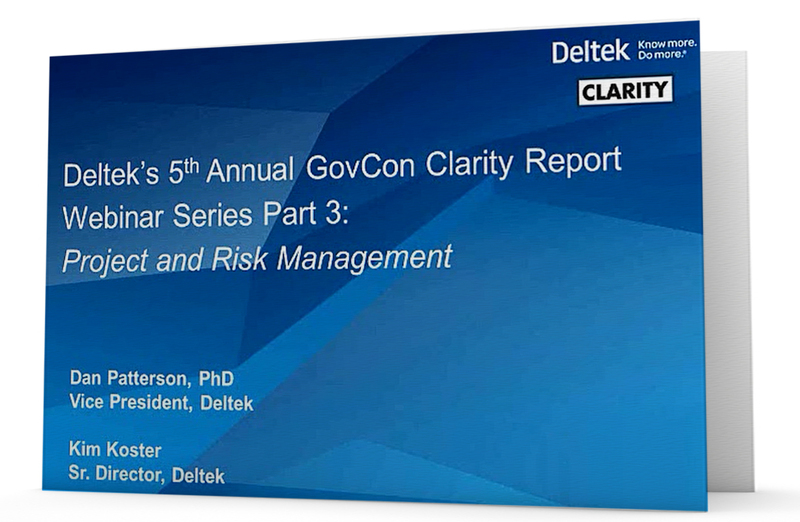 The 5th Annual Deltek Clarity Government Contracting Study surveyed over 400 professionals to learn the top trends in project and risk management. How are other major companies managing their projects? What are the biggest challenges facing the field? More importantly, what should you be doing about it? In this free on demand webinar, Clarity Report: Project Management & Risk Trends, gain insights and analysis on the top trends in project management and benchmark your company against your peers and competition.